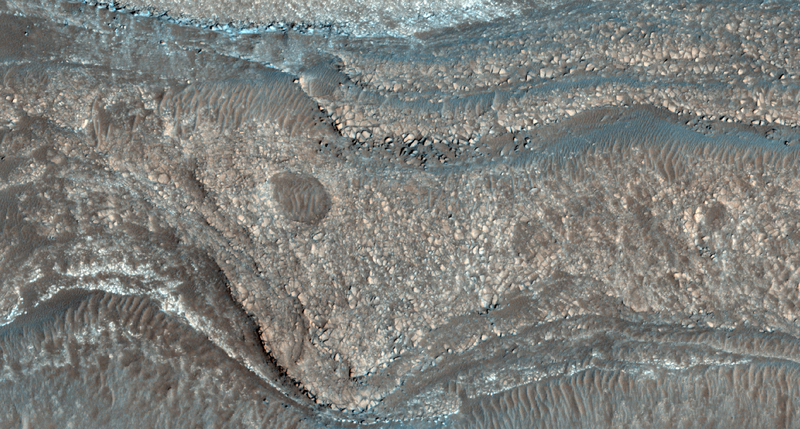 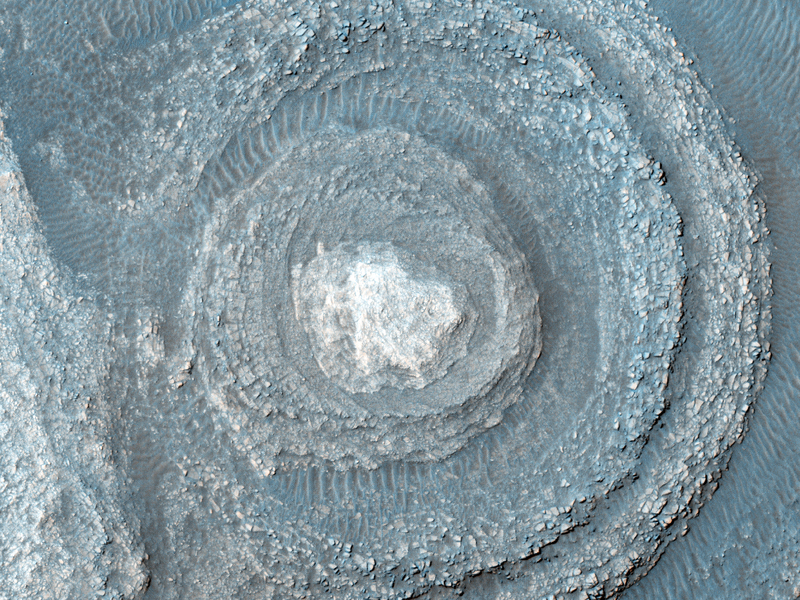 This observation shows great exposures of layered rocks in Argyre region. Could it be evidence for an ancient sea or lake? 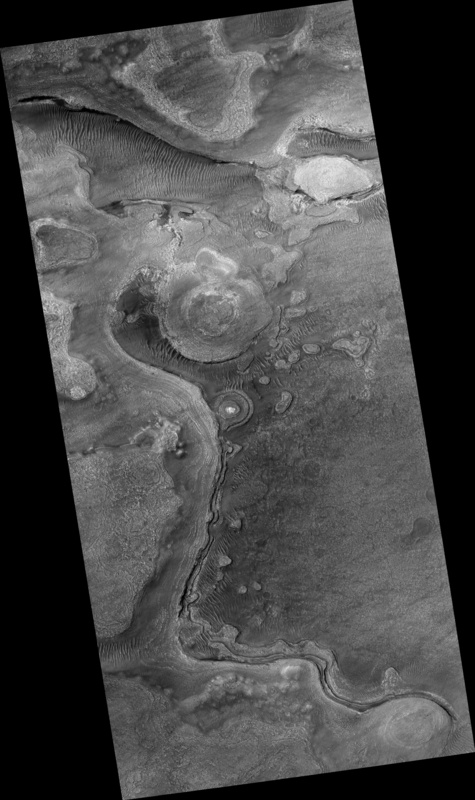 The Argyre region, also known as the Agyre quadrangle by the USGS, is also home of the Argyre impact basin, which contains some ancient eroded terrains, as well as other impact craters that HiRISE has imaged: Green Crater, Galle Crater, and Charitum Montes. 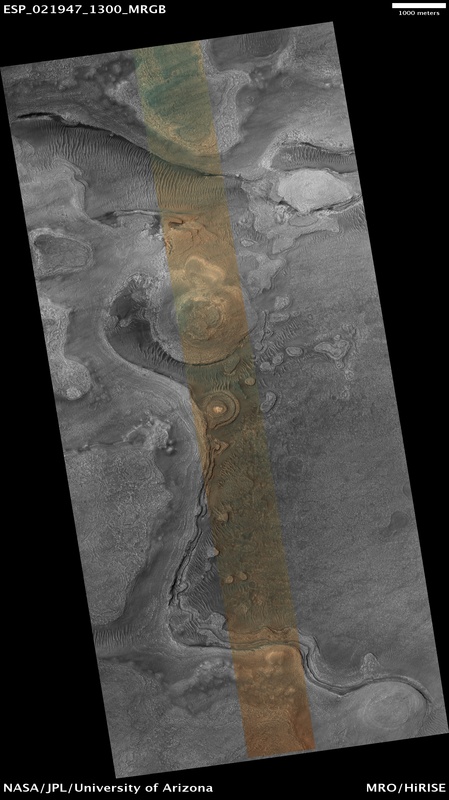 This is a stereo pair with ESP_014167_1300.